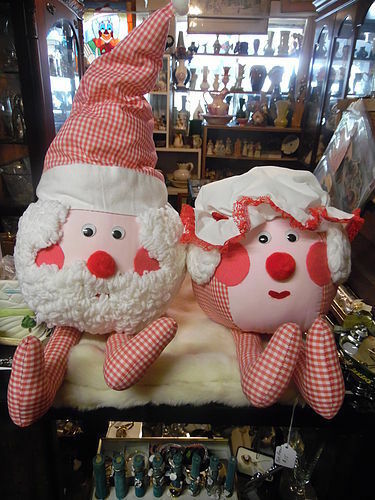 Unusual vintage roly poly Santa and Mrs Clause dolls. Hand made but in brand new undisplayed condition.Bodies are about the size of a basketball plus the hats legs ect. Overall... from tip of hat to toes,the Santa is 30". These are whimsical and cute and very soft to cuddle if you want the young kids to play with them. Sold as a pair.